This year I am challenging all my fans to commit to wearing at least one item they have made on every Wednesday in 2016. Yes, EVERY Wednesday for an entire year! We spend so much time making wonderful creations that either sit in our closets or are given away as gifts. I want each and every one of us to proudly display something we have created, and what better day than Wednesday? Right smack dab in the middle of the week, when we’ve had enough of work and need something to look forward to. What you wear is up to you, it can be something simple like a crochet necklace or something more extravagant like a shawl or wrap. Even just putting on a hat or scarf in the winter months will count. Just as long as you wear it part of the day. Please note, by uploading your image to the Cre8tion Crochet’ers Unite facebook page for Wear it Wednesday you are giving Cre8tion Crochet permission to use your image for promotion purposes. Wear at least one item you have made every single Wednesday for the entire year of 2016. Log into the Cre8tion Crochet’ers Unite facebook group every Wednesday and join the group discussion. Upload a picture of yourself wearing your item, if you wish to participate in promotion of the event. 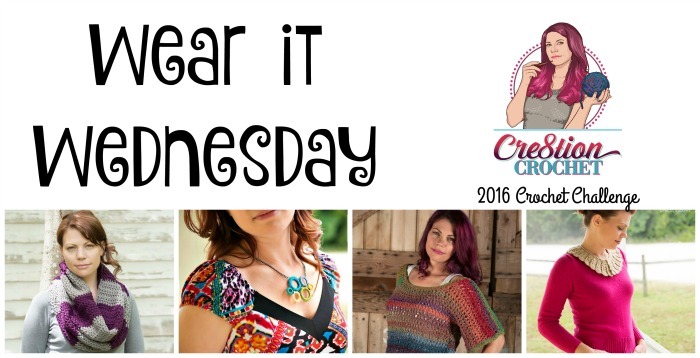 Upload your pictures to instagram, twitter or facebook using hashtags #wearitwednesday and #cre8tioncrochet. To go along with Wear it Wednesday Cre8tion Crochet will be hosting a few CAL’s throughout the year. 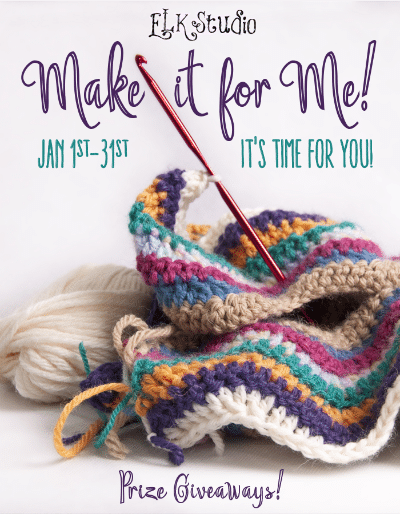 I also encourage you to participate in the Make it for Me crochet challenge by ELK Studio Handcrafted Designs. You can find more information HERE.